Waiting in line at the airport security checkpoints is something no one really likes. And what if we knew what the estimated wait times were? Well, WhatsBusy just does that! 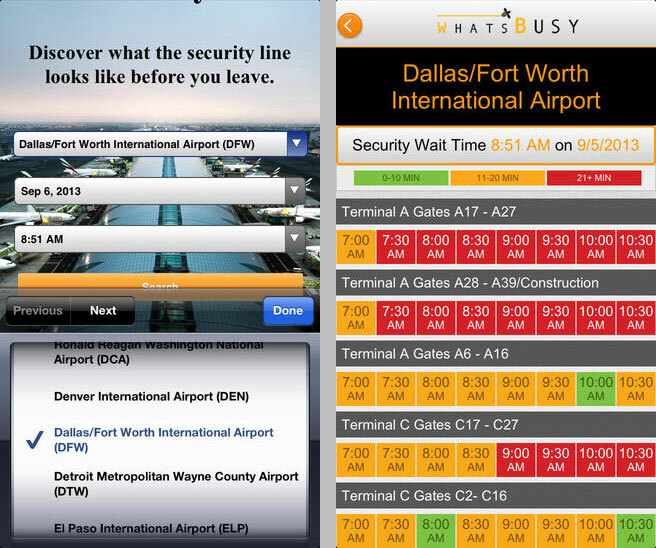 For major airports around the United States (only for now), WhatsBusy will mine historical data from the TSA and airlines, and show approximate wait times on most of the terminals. 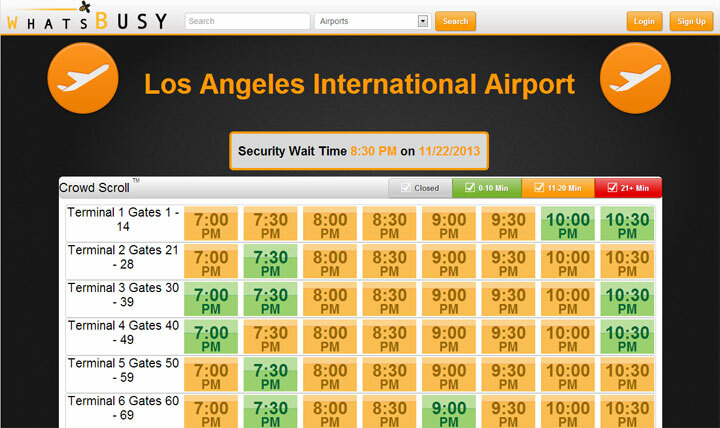 Just select the airport, date and time of your arrival at the airport and the website (or mobile app) predicts the security wait times for today or in the future for easy planning. They have a mobile app for iOS that does the same.